Styled with gabriel pant and jared wool coat . 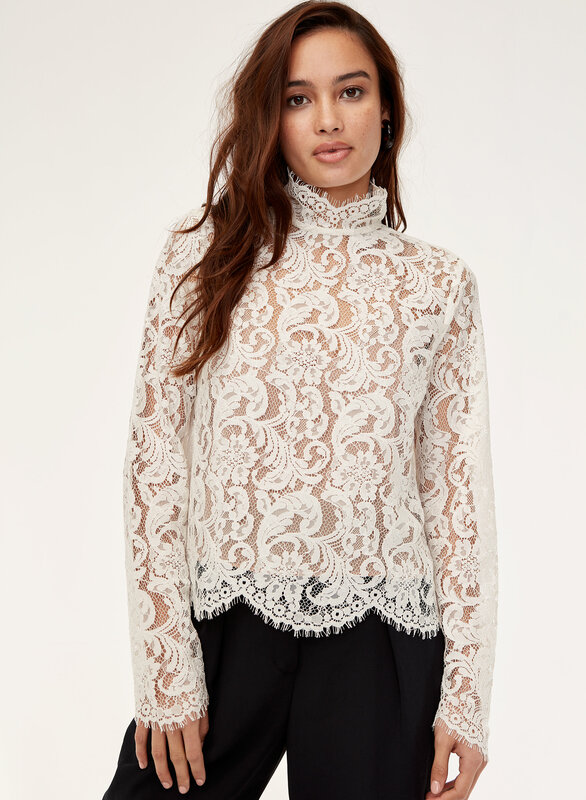 Made from soft, romantic lace, this blouse has an elegant feel. 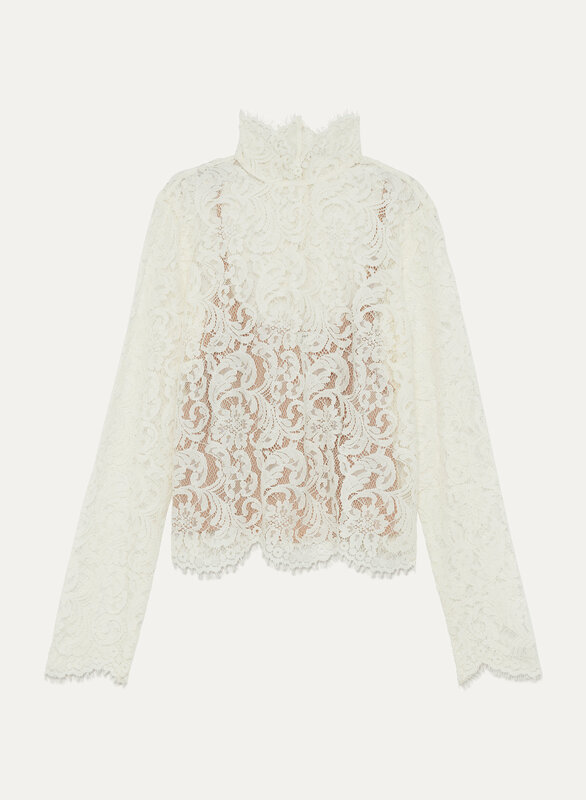 The slightly cropped silhouette is trimmed with delicate eyelash lace at the hem and sleeves. I love this blouse - it’s soft, comfortable and has a perfect cami too! 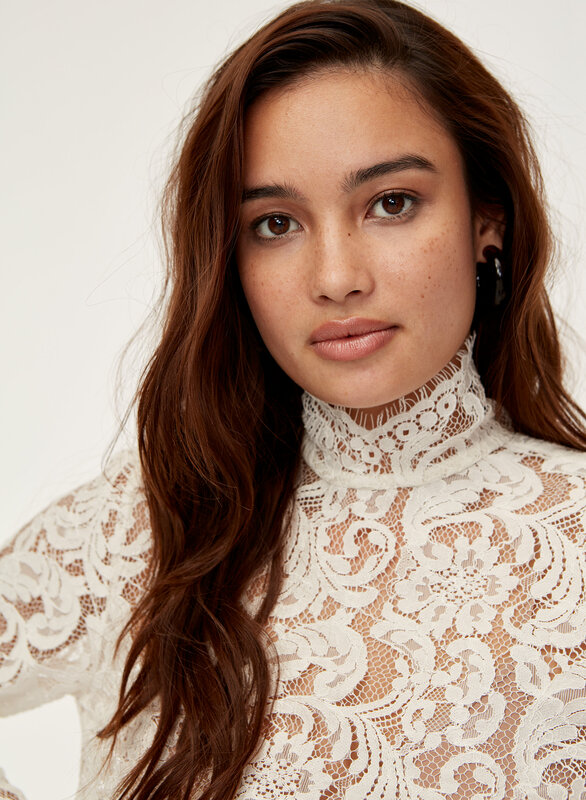 I like the pattern of the lace and the design for the neck part. It can be weaned alone or matched with leather vest.